Warehouse & Logistics News is the UK’s only fortnightly magazine for the warehousing and logistics industry and is always first with the news. 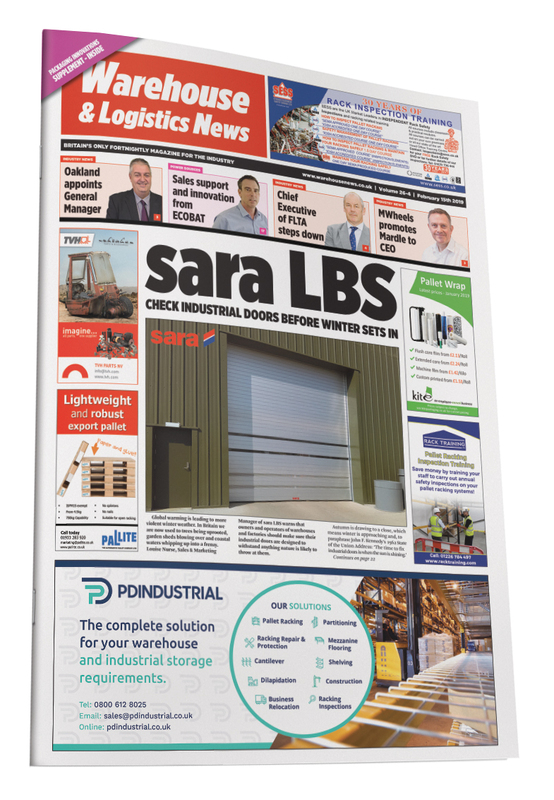 It delivers a lively, concise mix of industry news, product reviews, interviews and features on a wide spectrum of industry topics, in a clear, easy to read tabloid format. We publish Warehouse & Logistics News magazine in printed, digital and online formats, to suit the needs of today’s generation of industry professionals for up to date information. The magazine works closely with UK trade associations and other industry bodies, to cover the key materials handling and logistics industry events and exhibitions in the UK and Europe. UK warehousing and logistics professionals in the UK, including senior buyers and decision makers. 50,714 copies of Warehouse & Logistics News are distributed in both print and digital format 24 times a year. For more information on Warehouse & Logistics News please visit www.warehousenews.co.uk or phone 01923 272965.